PORT CANAVERAL, Fla. — Royal Caribbean's Oasis of the Seas will return to Port Canaveral a day early after 475 passengers and crew members got sick, possibly with the norovirus. "We think the right thing to do is get everyone home early rather than have guests worry about their health," a cruise line spokesman told the Associated Press. The Oasis of the Seas was on a seven-day Caribbean Cruise and were in Jamaica when they were told they had to stay on board. The Centers for Disease Control and Prevention has already posted a report about the cruise on its website. It says 385 of 6,285 passengers onboard, and 17 of the crew members were sickened, with the predominant symptoms being vomiting. The agency says the cruise line has taken samples from those sick for testing and are keeping the CDC informed with daily reports. Royal Caribbean said the decision to come back early will give the company more time to thoroughly clean the ship before the next trip. CDC officials will board the ship when it gets back to the port to help investigate the outbreak and what caused it. Passengers will get full refunds, the cruise line said. Oasis of the Seas is one of Royal Caribbean's largest cruise ships. It can carry up to 6,780 guests, plus more than 2,000 crew members. The CDC's Vessel Sanitation Program shows the ship scored a 93 of a possible 100 in its most recent inspection in August. 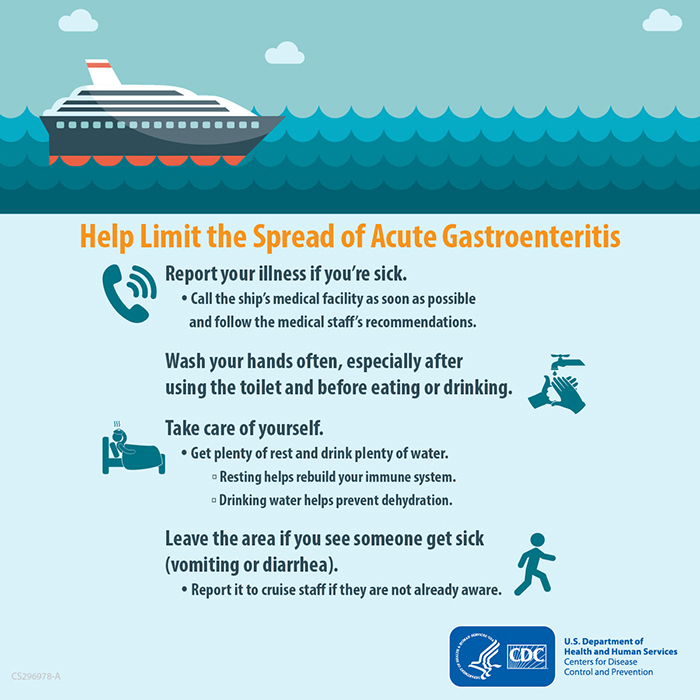 The CDC says acute gastrointestinal illnesses, such as the norovirus, are highly contagious but comparatively rare on cruises overall. The virus causes a person's stomach or intestines to become inflamed, with symptoms of stomach pain, vomiting and diarrhea. You can get the illnesses from an infected person, from contaminated food or water, or from touching contaminated surfaces.